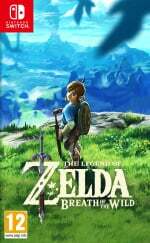 The Legend of Zelda: Breath of the Wild is almost gleeful in the way it casts aside the traditions of the series to present an open-world adventure unlike any other. Not only is protagonist Link relieved of his signature green tunic and iconic hat (at least by default, anyway), the famous Master Sword is an optional extra, too. We've already shown you how to acquire that particular blade, and now we're going to reveal where you can find the Hylian Shield - another famous accessory which is hidden away in the game. This superb shield is located deep inside Hyrule Castle, which is under the control of Calamity Ganon. Given how dangerous the castle is at all times, we'd advise you wait until you possess the Master Sword before attempting to grab the shield. The sword is especially strong against the enemies you'll meet inside the fortress and you'll have at least 13 heart containers by this stage, which gives you a fighting chance of coming out alive. First things first, head to the north side of the castle moat, next to the uppermost stone pillar. We've marked the point on the map below. From here, you should be able to see the entrance to the castle's underground dungeons; they're marked by three glowing blue stones and there's a small curving ramp below. What you need to do is drift using your glider and land on this section. There's a stationary Guardian here which is best avoided, so sprint for the dungeon entrance as soon as you touch down. As soon as you enter the dungeon you'll encounter a closed gate to your immediate right. Use your Magnesis rune to lift this up and proceed. This section features several cells containing monsters and high-level loot, so it's worth taking your time and picking up a few choice items along the way, if you're up for the fight. Once you're happy you can head to the far end of the corridor where you'll enter a large circular room with a pile of seemingly inanimate bones on the floor. This is actually a Stalnox, and it will spring to life once you enter the room. A door will close behind you as well, so make sure you're ready for the fight - you'll need arrows in your inventory as you have to aim for the monster's eyeball to temporarily take it down. When the Stalnox hits the floor after an arrow to the eye it's a good time to rush up and deliver a few blows with the Master Sword, but when he gets back to his feet make sure you're not nearby - his attacks inflict a large amount of damage and you'll find yourself kicking the bucket if you're not careful. Once you've got the monster's health down to almost nothing attacks against the body won't have an effect - you need to hit the eyeball with an arrow one last time and it will pop out completely. 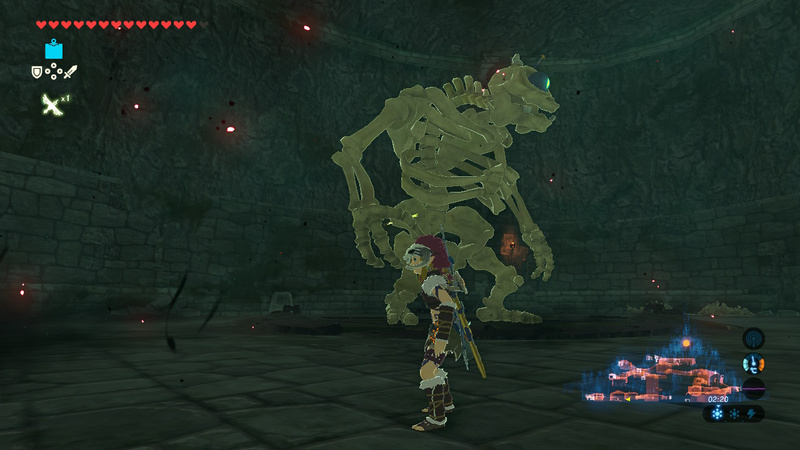 Attack the eyeball and you'll finish off the beast, which drops the Hylian Shield. The Hylian Shield is the best one in the entire game and boasts amazing durability as well as the highest parry rating, but be warned - it's not indestructible. If it breaks you can purchase another from Tarrey Town - but it will only be available for sale if you've already unlocked it either via this method or using an amiibo (see below). If you find this whole process a little too demanding then don't worry, you can obtain the Hylian Shield using the Breath of the Wild Zelda amiibo. 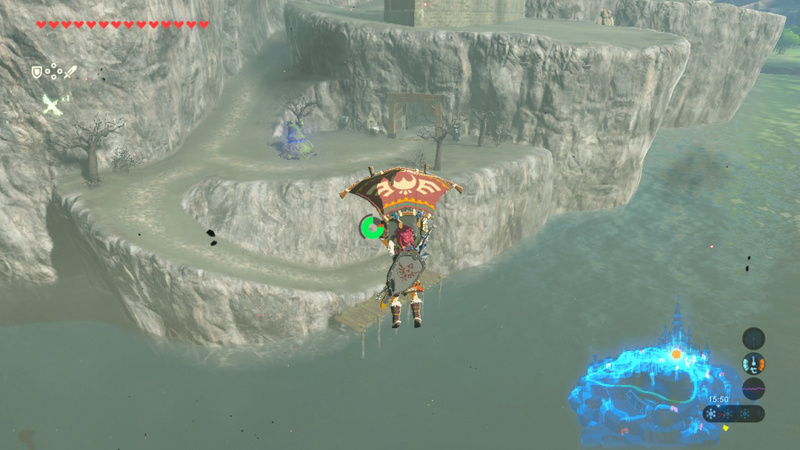 The catch here is that Zelda drops shields at random so you're not guaranteed to get the Hylian Shield on your first scan - it might take a few days before you get it. Once you do, Zelda won't drop the Hylian Shield again, but you'll be able to buy it from the vendor in Tarrey Town if you lose or break it. No time to worry about the Hylian shield yet. 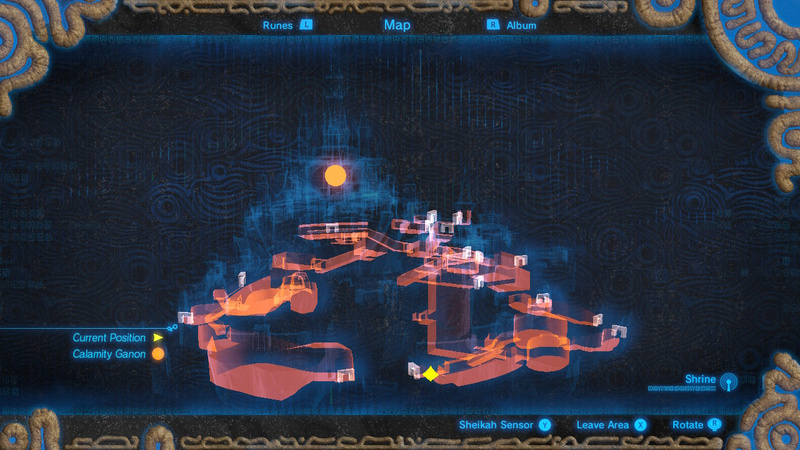 I have only 4 shrines to go and they are driving me crazy. I managed to do this after only clearing one dungeon. 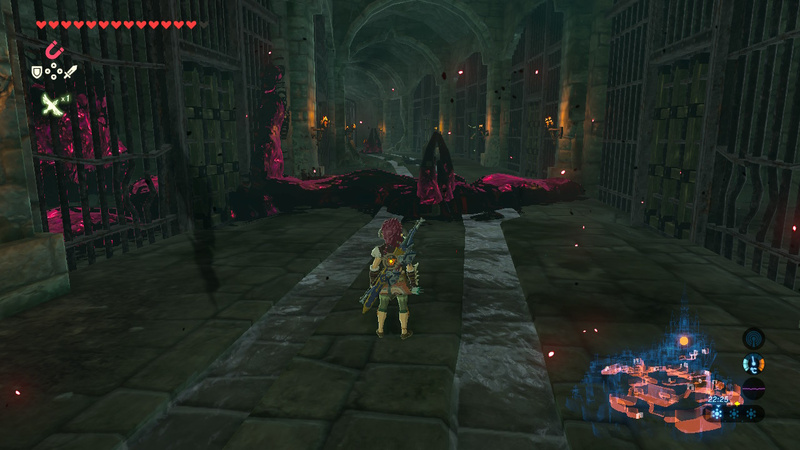 Sneaking into Ganon's castle so early was exhilarating, like I was getting away with something illegal, haha. The openness of the world is staggering and completely welcome. Makes the world feel alive. @Fbigabig The Princess Zelda one. Note this only works with the BoTW Zelda, not the Smash or Wind Waker ones. I found this while looking for Royal Guard equipment for a side quest. I did a little dance. I need to get out of there though. 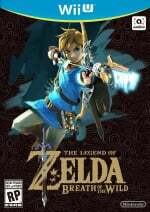 @Fbigabig The breath of the wild zelda gives a Hylian Shield every day, which is why it's now $25 at most online retailers. 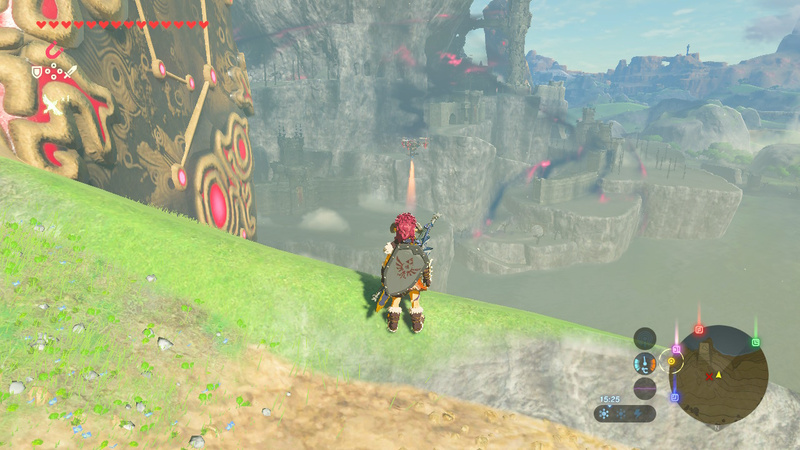 I found the shield by accident while exploring, well before getting the master sword. What helped out the most was kiting enemies and using the upgraded stasis to get extra hits in. It's very effective against hinox and stalnox, since you can freeze them, hit the eye, and slash away. @G-Boy Exactly what part of GUIDE: How to get the Hylian Shield in Zelda: Breath of the Wild made you think it wasn't going to tell you things you may not want to know? I didn't get the shield until just before my final assault, and then I forgot to equip it for the final battle. In fact, I almost forgot to equip a much more important piece of hardware since I thought it was unavailable for the moment along with accidentally leaving the awesome Climbing Gear of Ninja Stealth Assault on. @G-Boy This shield has been part of the series for years - is the fact that it's in the game really a spoiler? C'mon, please! That's a big enough spoiler, not huge but still it's right there on the main page and impossible to avoid. I didn't know the Hylian Shield was in this game. Maybe I should have guessed but now I know it's definitely there. 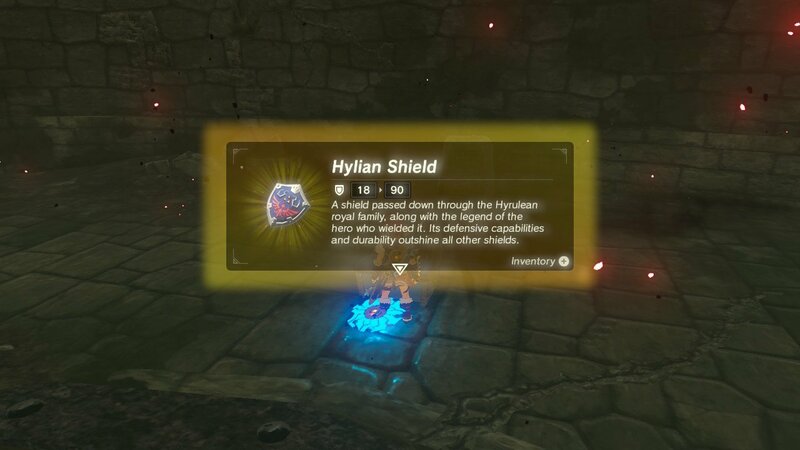 It doesn't give a Hylian Shield every day. I've used my Zelda amiibo almost every day since getting the game and still don't have the shield. @Refurin Really? Maybe I've gotten lucky then? I've only used it three times but have gotten a Hylian Shield each time. @SLIGEACH_EIRE @G-Boy I mean, the master sword and Hylian Shield have been in 3 of the past 4 3D games over the course of nearly 20 years. Is it really a spoiler at this point? @RedMageLanakyn This too was a sacred part of Zelda games. Had that spoiled on me too. Not by this site, someone said it elsewhere. Although they reported it as well. @SLIGEACH_EIRE That hat is actually in the game as amiibo DLC, i got it from my 8-bit Link. If you browse the web a lot and want to avoid spoilers, i'd recommend staying away from sites like this for a month after release. They have to use the hype of a blockbuster release like this to warrant any extra clicks they can with any extra articles they can whip up. @RedMageLanakyn Really? It's hidden behind a SCamiibo? That's bad form. Get the Master Sword, the Hylian shield, and the classic green tunic, and sorted. @SLIGEACH_EIRE If you want to know how to get it without amiibo I can tell you. Just spoilers. @Wexter Thanks but no thanks. @SLIGEACH_EIRE I agree, but i'm also a collector when it comes to Link, so the only amiibos I do own are of Link. I bought them without knowing they had a tie in to the game, getting to actually use them is a little bonus. I've gotten some great items, and even borrowed a friend's zelda amiibo for some extra stuff. @Darknyht The Hylian Shield part, I didn't know it was in the game. I figured it was somewhere but I didn't know for sure. Got the Shield yesterday and.. Aah..! Forgot to hang it up in my house. Need to do that now. @AlternateButtons Please don't call me a big whiner, I'm just expressing my opinion. Have you never whined about something in your life? I don't think I'm a big whiner if I only have a problem with the spoilers, the mods and the new design of this website. I have always loved Nintendo Life, but I also think criticism is important. When I got the shield it was inside a chest, it wasn't dropped by the monster. The Hylian Shield can break? I'm not sure I like that. @G-Boy It's all a matter of perspective, for those of us that just assumed the shield & sword were in the game this constitutes as much of a spoiler as Optimus Prime being in a Transformers movie. However, I wouldn't call you a whiner at all. If you don't agree with someone then you're free to express that. Surely anyone telling you not to complain... are whining about your complaint? @Refurin I have each of the three Zelda amiibo and have used them every day, and I have yet to receive this shield. On the other hand I also have all six Link amiibo and have each of their full set of clothing. So the shield must not drop right away and take a dozen or more instances before you receive it in some cases. All the whining about "spoilers" is ridiculous. An item that's in almost every game is a spoiler, really? Spoilers are about plot information, but people misuse the word so much now that it's lost all meaning. @SLIGEACH_EIRE Just scan your amiibo figures on a daily basis and eventually it will resolve itself. I honestly felt like they were starting to force the reasons for Link to always be stuck in that outfit, and appreciated the second playthrough of Wind Waker where it was invisible. As for spoilers, if you don't want to know about something then it is best to avoid the internet entirely. For this game, you may want to stay away from gaming sites in general since it is the current GoTY for everyone. The internet is built around the idea of sharing information and experiences. Nothing I have seen here has dealt with major plot points or given away anything of consequence. Heck, I finished the main story and there is still probably 50% of the map I have never set foot in. So there's a Hylian Shield in Breath of the Wild, thanks for the spoiler. 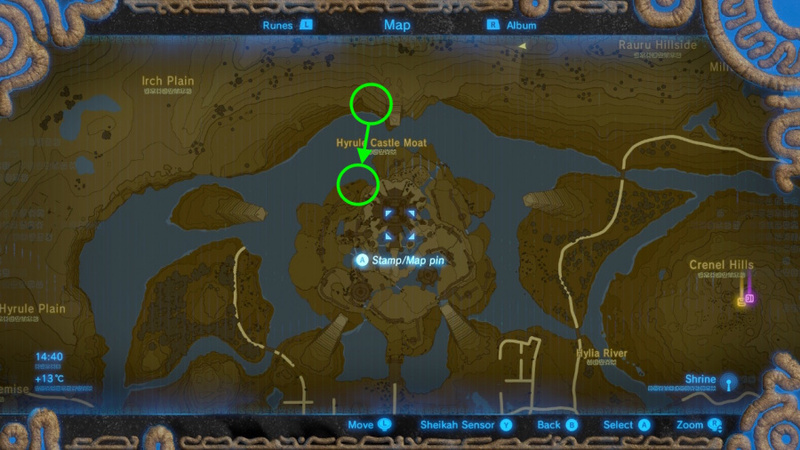 I had no plans for using guides, but after spending hours in the castle collecting all sorts of goodies EXCEPT the shield I came looking for, I figured it's worth a look. I even beat Ganon since I was there, even though I haven't yet completed one of the dungeons. @G-Boy Except the Hylian Shield totally wasn't a spoiler. That's like saying Mushrooms in Mario are a spoiler. Again, it was obvious it was in the game. And what did you want them to title it anyway? "Here's how to get THIS big item!" No that's ridiculous. I think you guys are going way too far with the whole no spoilers thing. @AlternateButtons I have a bigger problem with the thumbnail of the article.